Electric Peanut Butter Maker - What's Goin' On In The Kitchen? Here at What’s Goin’ On In The Kitchen? 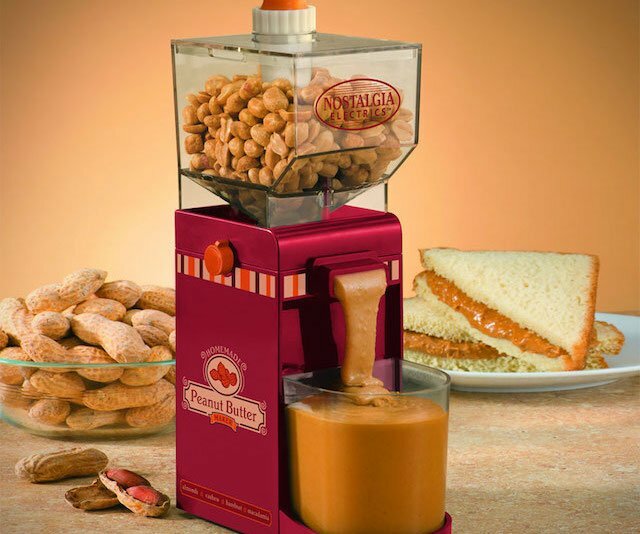 we love peanut butter, so this Electric Peanut Butter Maker is the perfect kitchen appliance for us. Enjoy homemade peanut butter and other nut butters which are healthier and taste better than those you can buy in the store. With this appliance you are also able to mix in your own sweeteners and spices such as honey, chocolate, sugar and cinnamon. The list is endless. This peanut butter maker also comes with recipes to give you some starting ideas. Be sure to check some of the other cool kitchen appliances I found if you love this.